Two portraits of John Davies of Laurel Cottage, St. Davids, Pembrokeshire. Studied at Southampton & National Art Training School, South Kensington, and became an art teacher. 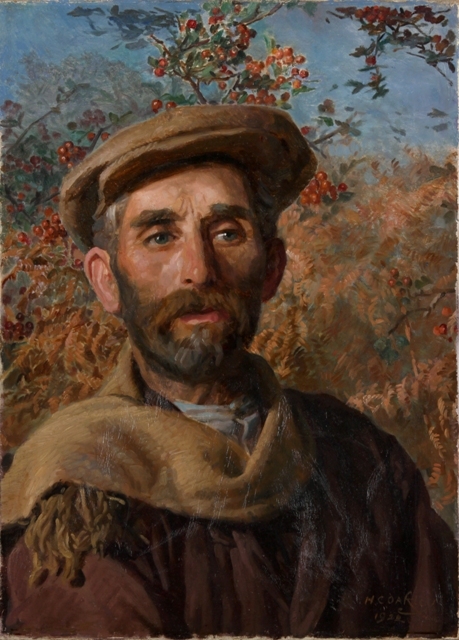 He travelled and painted throughout England, France and Italy before settling in St. Davids Pembrokeshire in the 1920s. Where he painted many of the local people. Some of his portraits are held at Southampton City Art Gallery, Pembrokshire County Museum & Pembroke College Oxford.